You can probably tell from my last post that I was pretty excited about Venice. 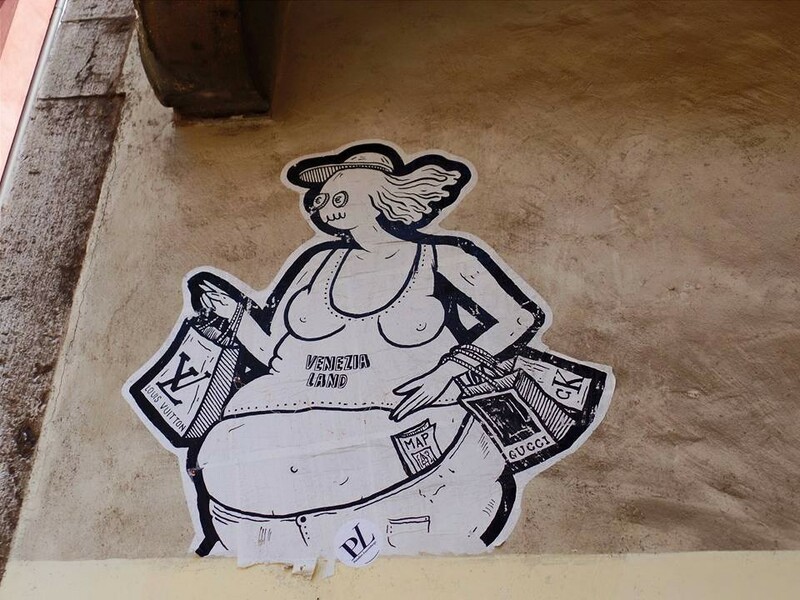 I had been to the city long ago with my family and had grown up hearing their stories of skinny Santas roaming the deserted streets, and well-intentioned Italian women scolding my mother for carrying me around in the cold. 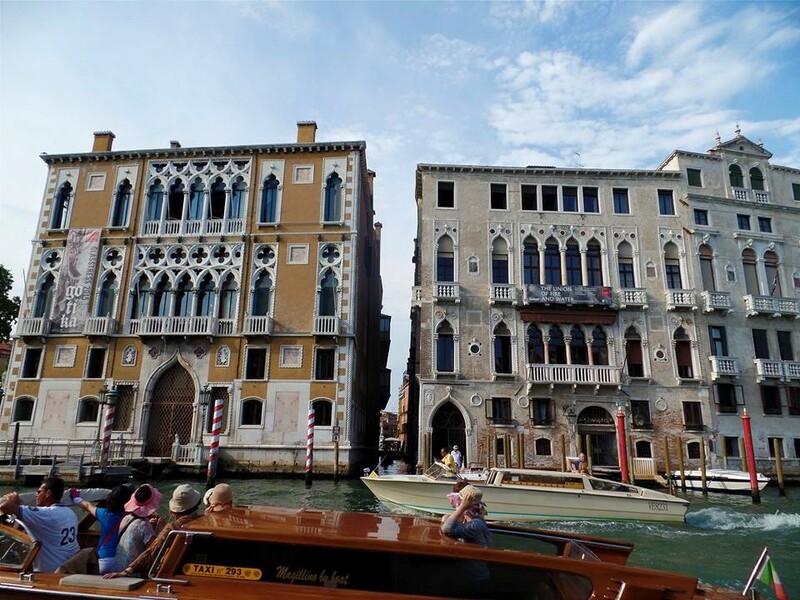 After a nearly three-hour Trenitalia ride from Milan, Anthony and I arrived in Venice. I was still tired from my lack of sleep the night before, but I was immediately energized when we entered Venezia Santa Lucia. The station opens up to the Grand Canal, which is literally a water highway. Cutting across the sparkling waters were big boats, little boats, speed boats, paddle boats — it was like a Dr. Seuss book. I was amazed by how effortlessly each boat just missed crashing into another. Thanks to straightforward instructions from our B&B, we knew to catch Vaporetto #1 four stops to Ca’ d’Oro. Vaporettos, which are basically water buses, are the most efficient way to travel in this car-free city. Mattia, the owner of 3749 Ponte Chiodo, buzzed us in, and we walked through a secret garden behind the gate up to the residence. It was as picturesque as I had hoped. Mattia ushered us into his office on the bottom floor of the pink, three-story home. He was the main reason 3749 Ponte Chiodo was one of our favorite hotel experiences. He gave us a map of his favorite restaurants (sounds like something I’d do!) and, based on our interests, traced out some routes for us to take to various sites. He was very blunt about where to avoid and what not to eat — and I appreciate that level of taste. He led us to our room, which was the only one on the first floor. I had requested this exact room because I knew it had a view of the canal and the strongest WiFi connection. Decorated in pale yellows and Klimt prints, it was much more charming than our previous room in Milan. By that point, we were pretty hungry, so Anthony navigated us to one of Mattia’s recommendations for lunch. Our route led us over the Rialto Bridge, and, just like in Times Square, it was almost impossible to get across. Obnoxious tourists (I’m just going to guess that they’re American based on their widths) blocked all paths, crammed into every photo-worthy spot, and struggled to climb the few stairs required. We finally got to Osteria Bancogiro, which has fantastic seafood due to its proximity to a large fish market. We started off speaking to our server in what little Italian we could muster up, but, as we’ve noticed in every city, if you try even just a little, Italians will be grateful and continue the conversation in English. Anthony’s calamari-stuffed cuddlefish and my cold pesto spaghetti with shrimp in a tomato gazpacho were refreshing on such a hot day. After lunch, we were still pretty exhausted and too sweaty to want to explore, so we returned to 3749 Ponte Chiodo. Now I know why Italians take siestas! We rinsed off, turned our air conditioning on high, and took a nap. Eventually, we made our way out again. As we walked along Ca’ d’Oro, we noticed all the public water fountains, which are everywhere in Italy — some more ornate than others. I had brought my green CamelBak water bottle with us, so we constantly refilled it throughout our trip (until Anthony left it on a train somewhere between Rome and Naples). We caught Vaporetto #1 again to follow Rick Steves’ self-guided Grand Canal Tour, which took us all the way to St. Mark’s Square. Though everything was beautiful, I was a bit overwhelmed by how touristy everything felt — and the hot sun made everything feel even more tacky, almost like a Disneyland. 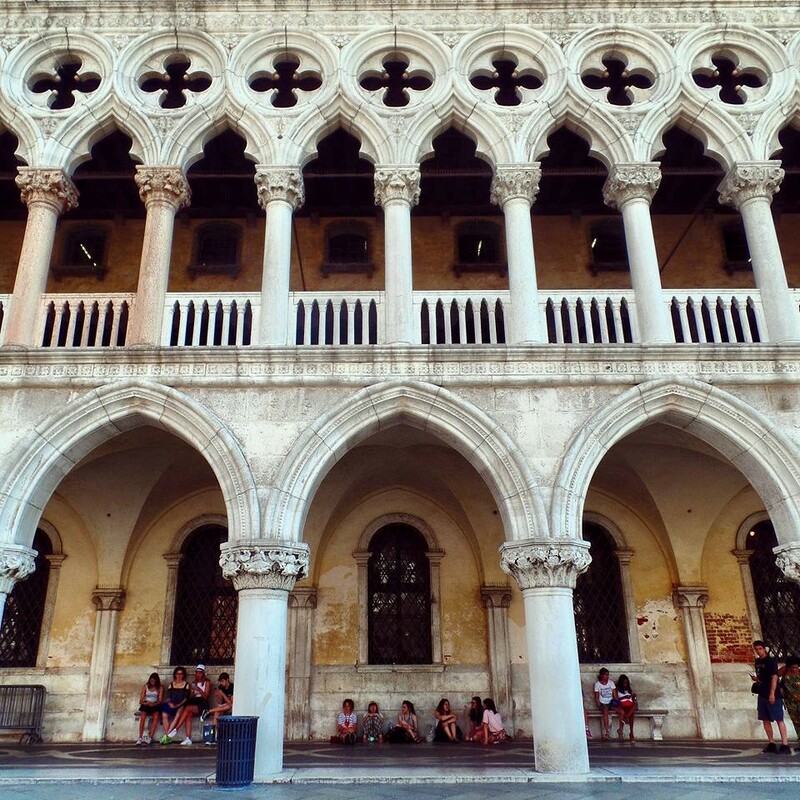 I longed for the seductive Venice that my parents had experienced when we were here in the winter. On our second day, we spent the afternoon exploring two other islands: Murano and Burano. Murano is famous for its glass-making and, honestly, isn’t that interesting unless you plan on purchasing glass. However, Burano was a lovely escape. Though the island is famous for its lace-making, tourists now go to take photos of its small, brightly-painted homes. If someone wants to paint their house, one must send a request to the government, which then decides which colors are permitted. 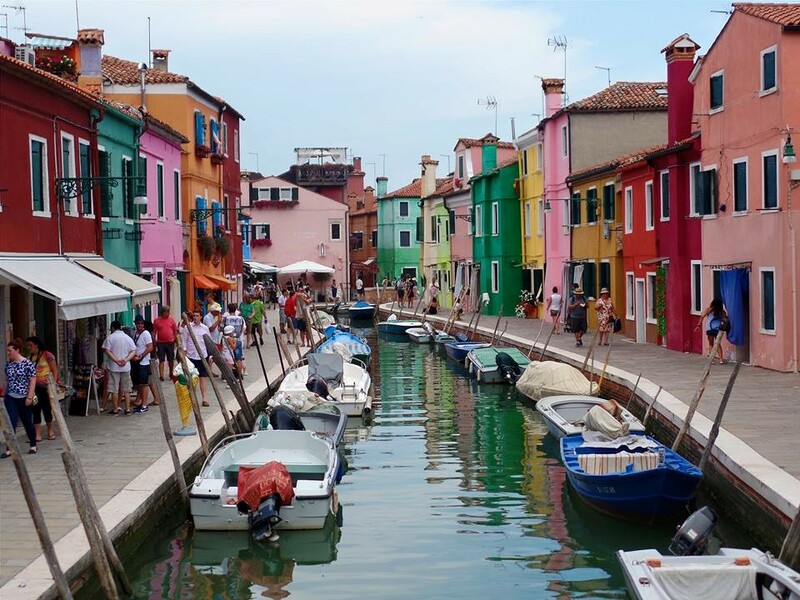 While Burano is clearly touristy, it felt much more relaxed than Venice, since it has no iconic landmarks and is enough of a trek from Venice that only the truly dedicated tourists make their way here. By the time we returned to Venice, it was drizzling, which felt great after another sweltering afternoon. 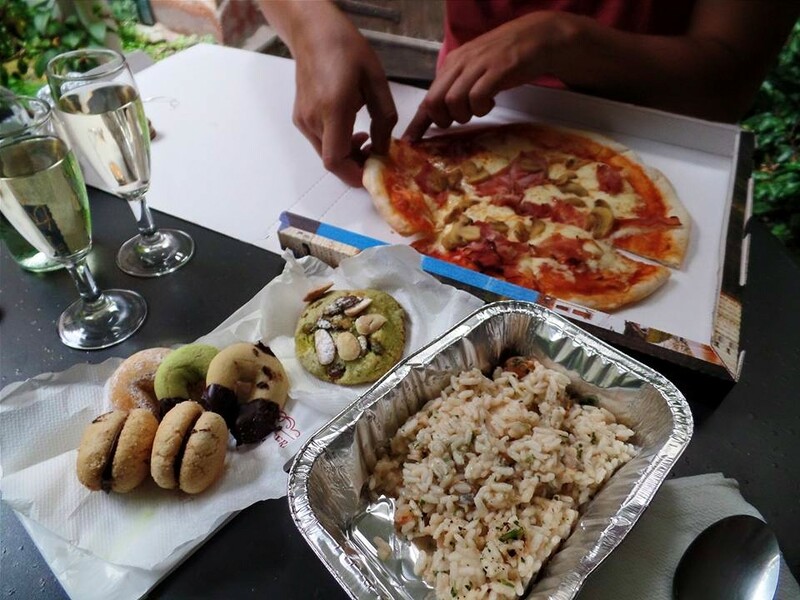 Since we had some leftover risotto from the night before, we decided to pick up some pizza, cookies, and wine and take advantage of our secret garden by having dinner at one of the tables. I love B&Bs because you really feel like you live there. I’m not sure where the four other guests were, but it felt like we had the whole place to ourselves. We borrowed a bottle opener, utensils, and wine glasses, and made sure to wash everything afterward. We felt like local Venetians. It was after dinner that we learned that the magic happens after the sun goes down. The day-trippers take their cruises back to the mainland, and the city becomes shrouded in mystery. 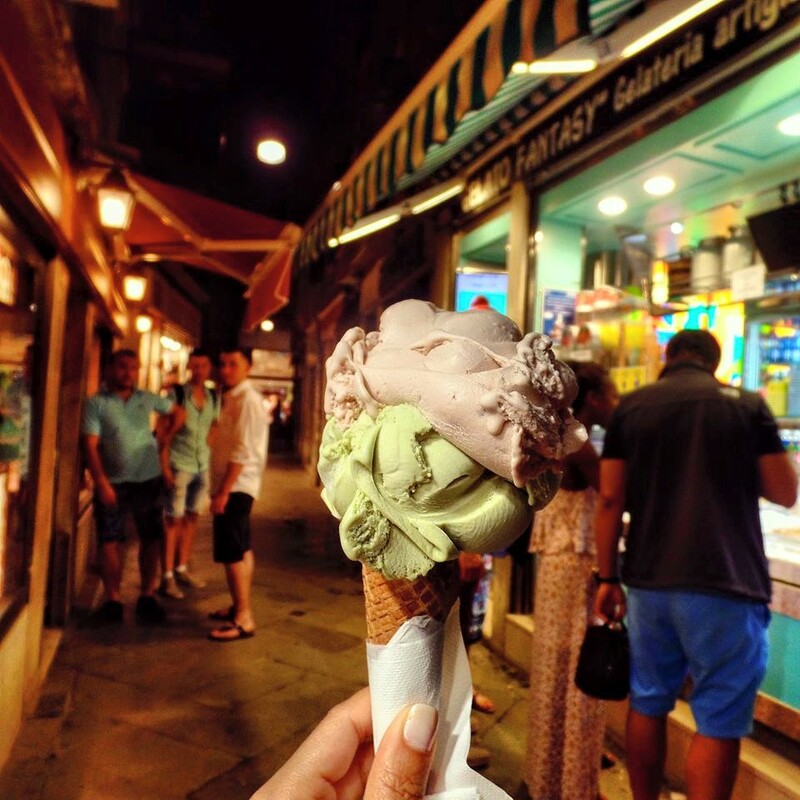 My friend had suggested a gelateria near St. Mark’s Square, but we had some trouble finding it and ended up strolling through dark alleyways. You haven’t lived unless you’ve gotten lost in Venice at least once. 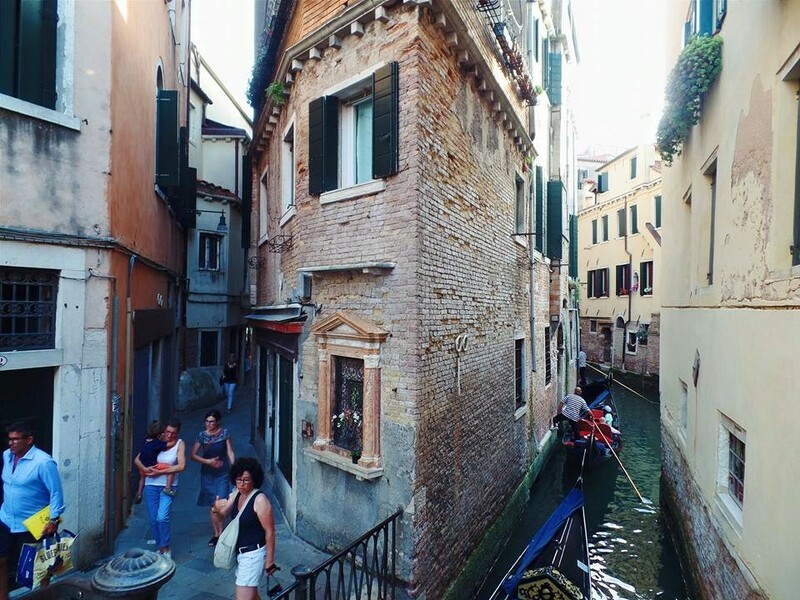 Venice is laced with narrow alleyways that squeeze between old buildings and often do not lead to anywhere useful, but simply provide access for local residents or businesses. One thing that impressed me was Venice’s lack of bugs and rodents. If New York had these same alleyways, there would be at least cockroaches crawling around, but we didn’t see any. Few alleyways continue for a significant distance, and there are not a lot of street signs. Getting lost in them transports you to another world — away from the tourist swarms. After we finally found the gelateria, we carried our towering scoops of gelato to St. Mark’s Square and listened to the dueling orchestras. Each caffè in the square seems to have a small stage for an orchestra. While we say they “duel,” each orchestra really just take turns playing, usually songs that they know will pull American tourists’ heartstrings, like Sinatra. While you can pay (too much) to sit at the caffès, we were fine just standing and enjoying our gelato. Moments like these were my favorite in Venice. 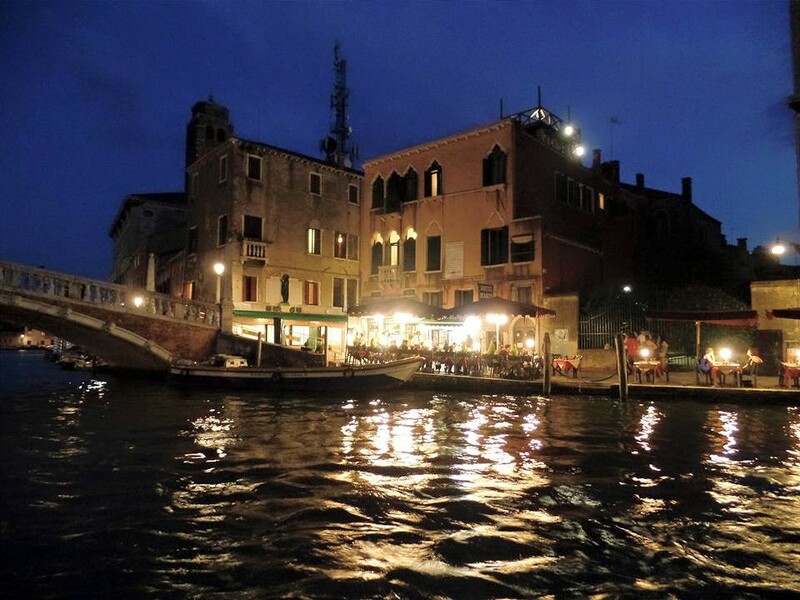 When we got tired of St. Mark’s Square, we took a late-night vaporetto back to our B&B, which also felt like a different experience in the dark. Light reflections from hotels and palaces glittered against the ominous waters, and the Grand Canal felt more romantic than ever. 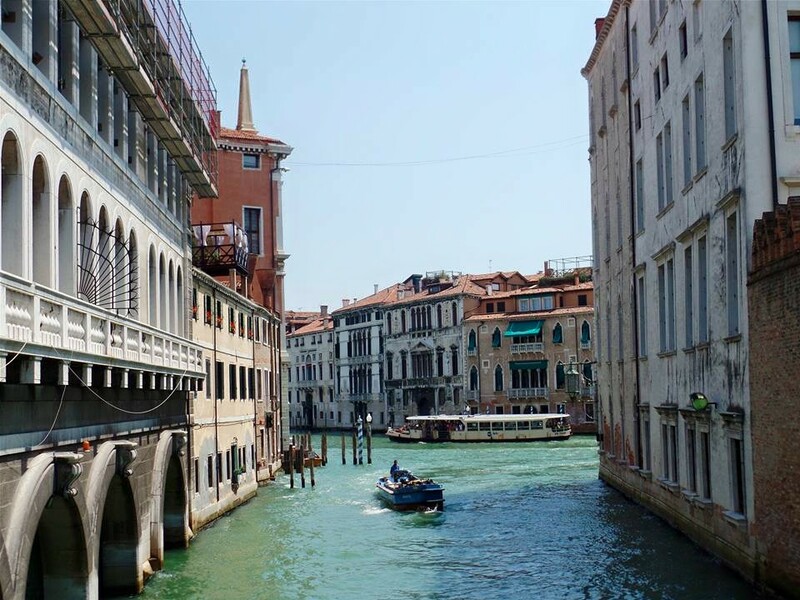 The next morning, I woke up with a tenderness for Venice that I hadn’t felt before. All those stories I had grown up with felt real; I just had to experience them at night. We enjoyed one last Venetian breakfast and caught a traghetto across the canal. 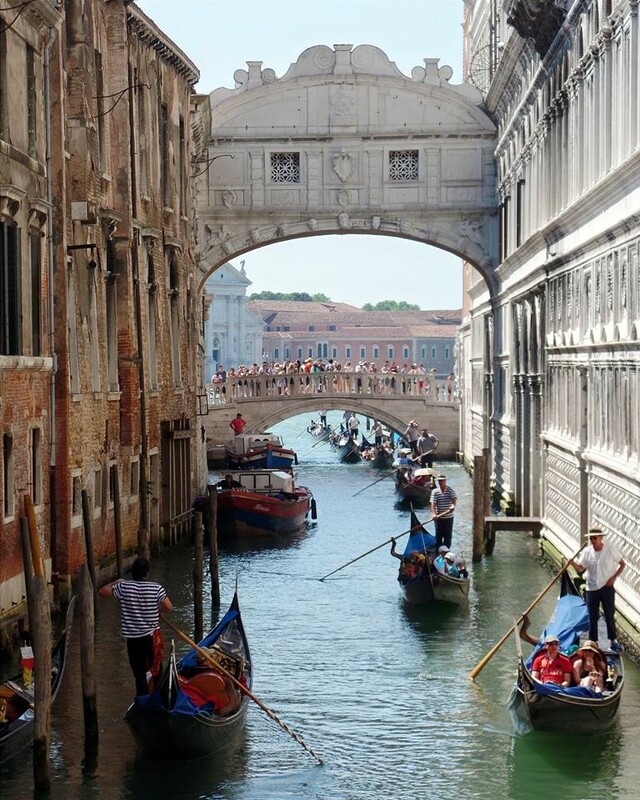 Traghettos are like gondolas, but just cross the Grand Canal and thus are much cheaper. It was a short, no-frills ride, but it satiated our need to try a more leisurely boat ride than our trusty vaporetto. 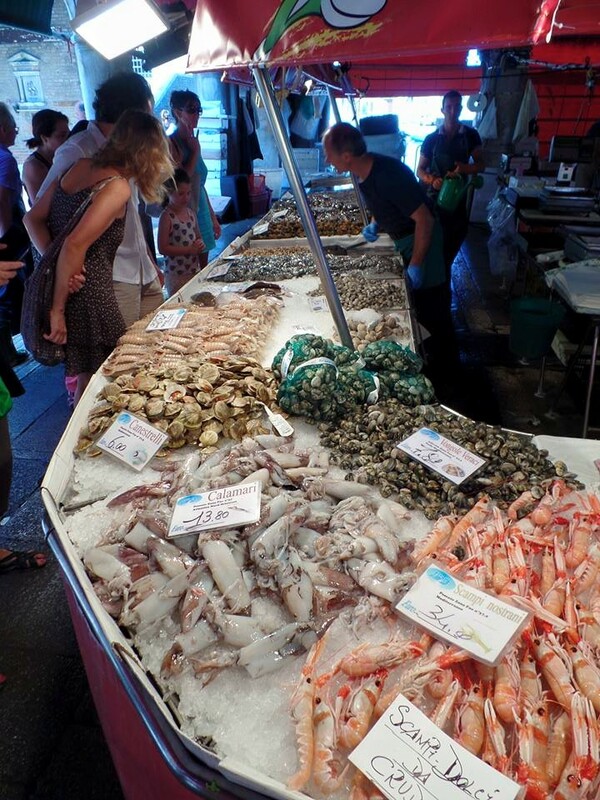 We walked to the fish market and gawked at the sword fish, snails, and octopuses. For our final meal in Venice, we tried another one of Mattia’s recommendations and ate cicchetti at Bacari. This was my favorite meal in Venice. 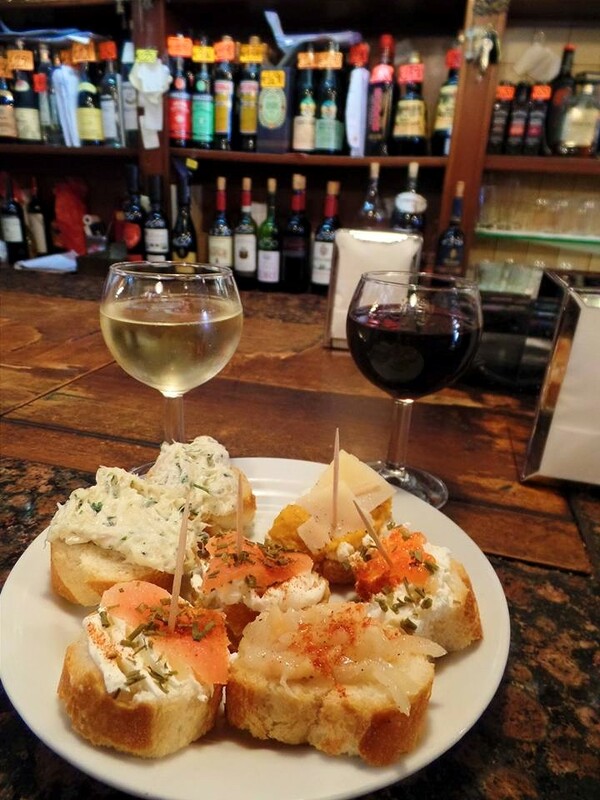 In true Venetian fashion, we ordered different cicchetti (basically, crostini topped with different ingredients, served on a toothpick) with a glass of house wine and ate at the bar. We tried shrimp, tuna, salmon, pumpkin, octopus, and caviar cicchetti. Everything was cheap and unbelievably fresh. 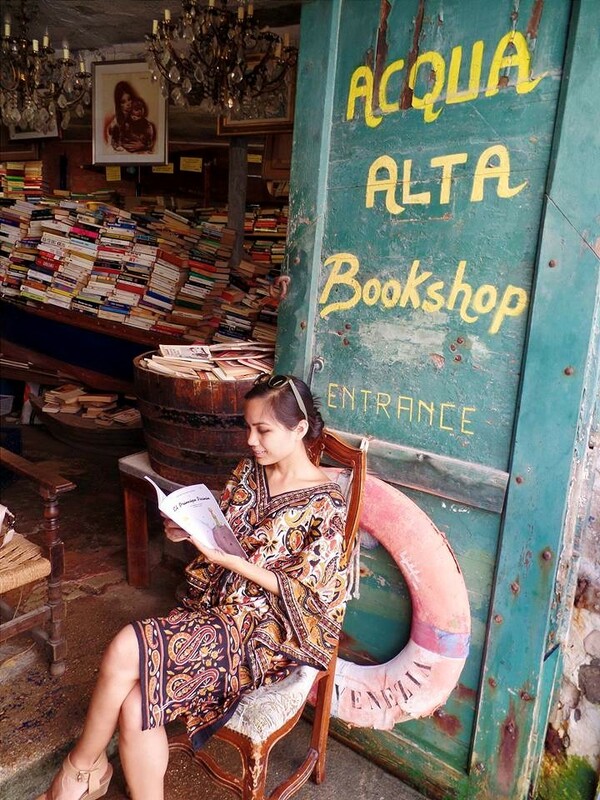 I had heard about a unique bookstore called Acqua Alta, so we made our way to it. Just like the night before, we enjoyed meandering through the alleyways and discovering things along the way. 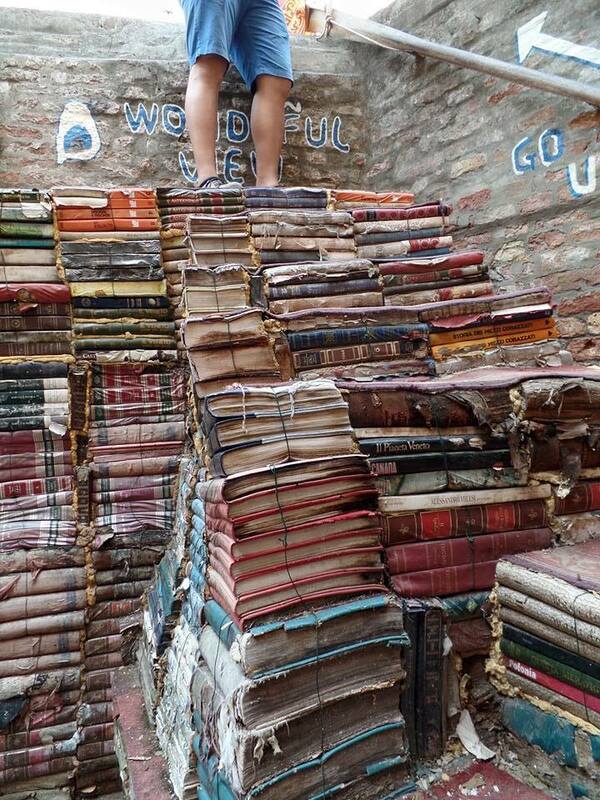 Acqua Alta stuffs their used books into boats (hence, the flood theme), and stacked old encyclopedias into a staircase in the backyard. There is a nook in the back at which you can sit facing the canal and occasionally get your feet wet when the tide rises. We met the eccentric owner, who beamed with pride as he told me what other little oddities his bookstore held. By then, it was time to head to Florence, so we picked up our luggage from 3749 Ponte Chiodo and caught our last vaporetto ride to the station. Ciao, Firenze! There’s a reason why Italians take siestas. If you’re visiting during the summer, plan to spend an hour or two resting in the early afternoon to avoid the worst heat of the day. It doesn’t get dark until almost 9 pm, so you’ll still have plenty of time to explore after your siesta. 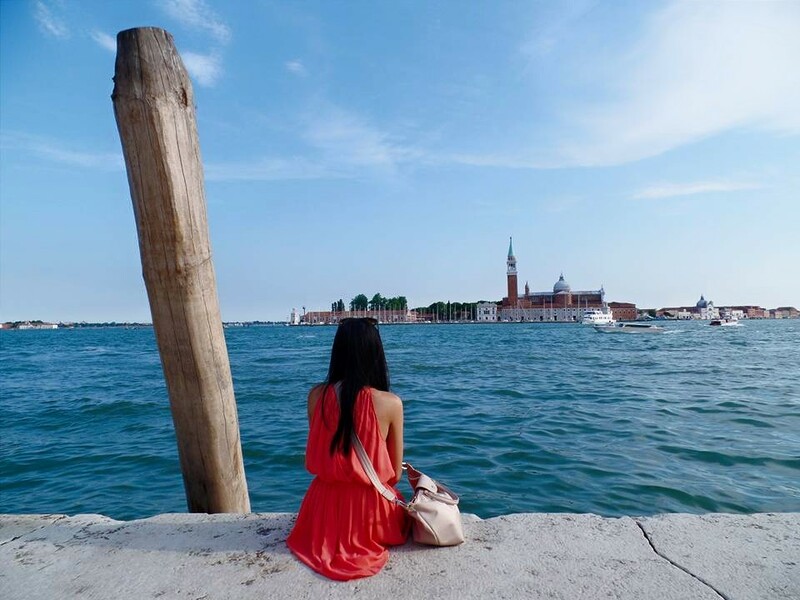 If you’re under 29 and staying in Venice for multiple days, look into Rolling Venice passes, which give you unlimited vaporetto rides and discounts to some museums. If only the U.S. realized that anyone under 30 is still not an adult! Any time you can buy online tickets in advance for major sites, do it. Our pre-purchased tickets to St. Mark’s Basilica allowed us to bypass a huge line. 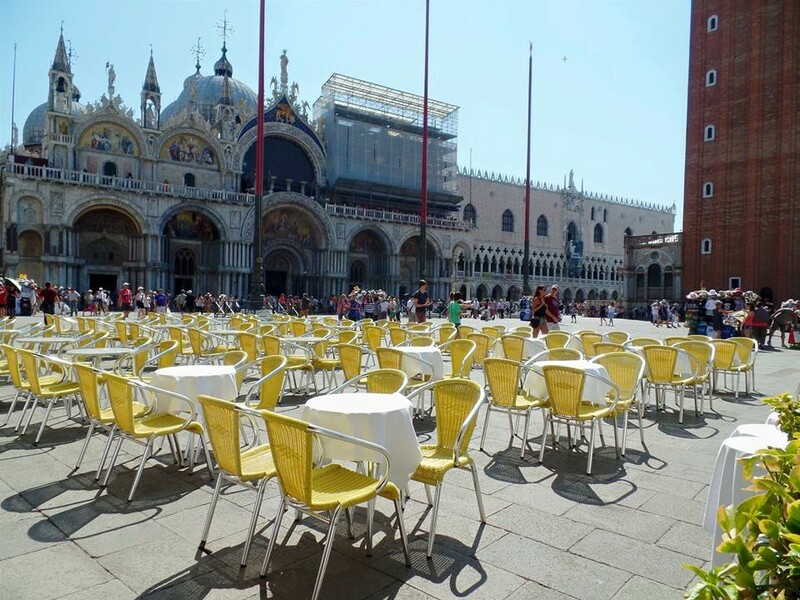 You must partake in the cicchetti tradition while in Venice. 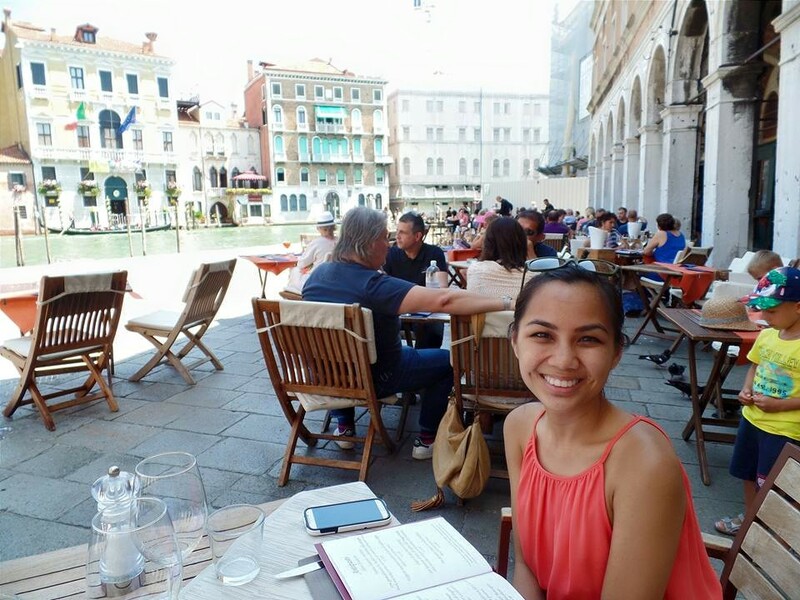 It was my most memorable meal there because we actually felt like Venetians. Anthony and I shared six cicchetti and two glasses of wine and spent no more than €15. I get tired of flavors quite quickly, so tapas-style meals are perfect for me. Cicchetti allow you to try all of Venice’s seafood offerings. 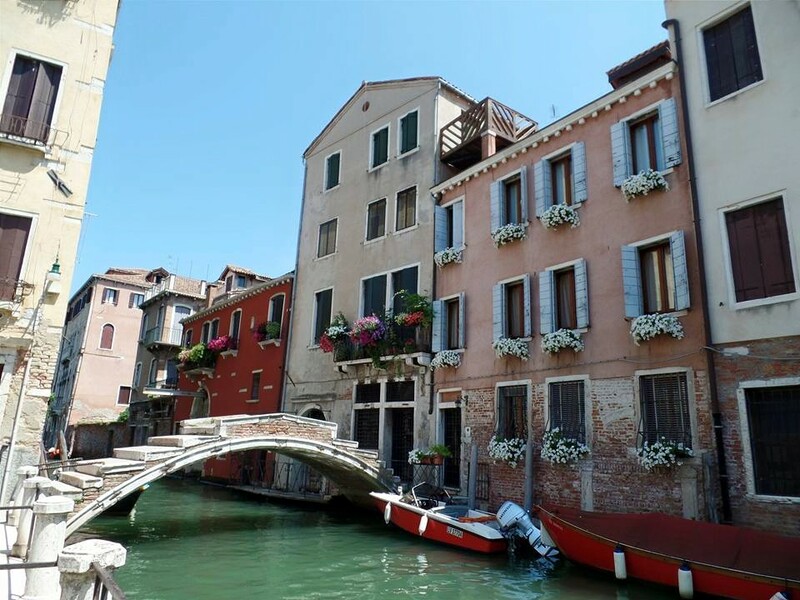 Two recommended restaurants that will make you feel Venetian: Bacari for cicchetti and Osteria ai 40 Ladroni for dinner overlooking a small canal or in their backyard. Try Venetian specialties like polenta and risotto. Get lost in Venice. Wander around at night. Listen to the dueling orchestras in front of St. Mark’s Basilica. Enjoy the idiosyncrasies this unique city has to offer.